Four weeks quickly passed and we were finally in Mendoza, our concluding city to Argentina before crossing international borders again into Chile. And what a perfect way to end Argentina—with the breathtaking Andes mountains beyond the autumn foliage of vineyards, perfect days with average 70ºF temperatures, inexpensive wine tastings, and gentle bike pedaling along kilometers of vineyards, we savored our final days in the second largest country in South America. 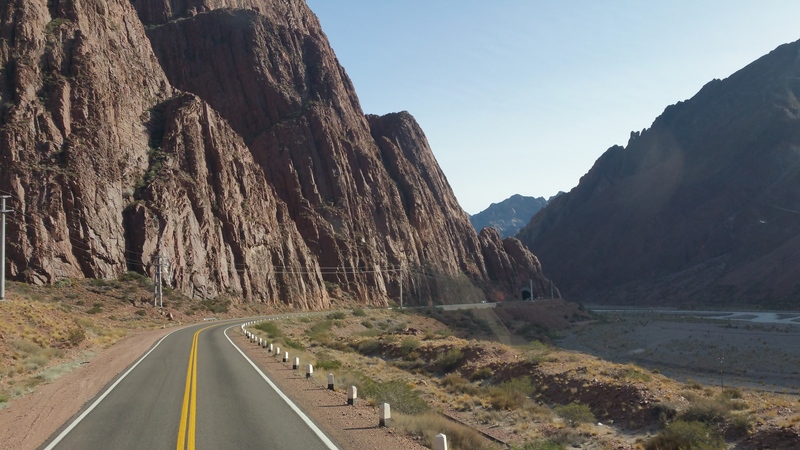 Although the city of Mendoza is the capital of Mendoza province, what makes the visit memorable is the outskirts of the city. 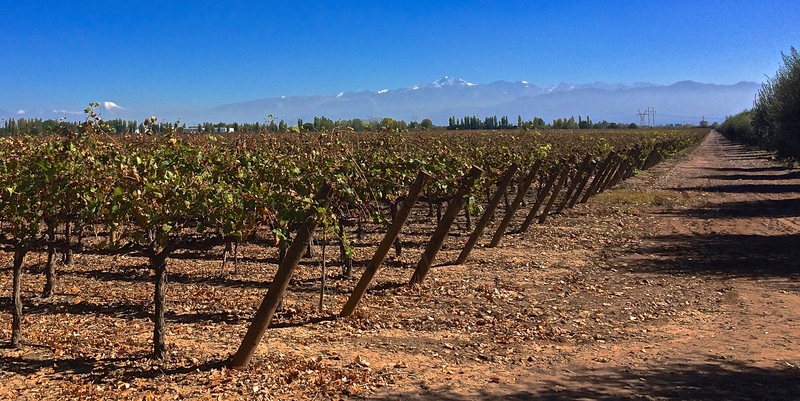 The three towns most visited for wine country (in order from nearest to furthest) are Maipu, Lujan de Cuyo, and Tunuyan (Uco Valley). 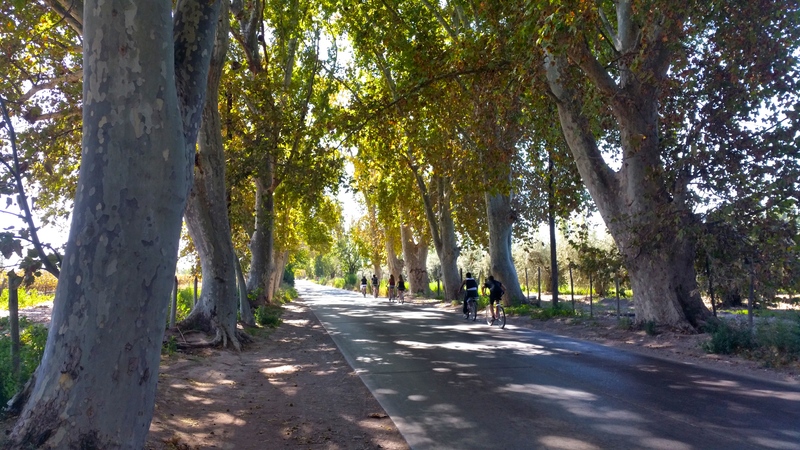 On our first day after settling into Mendoza, we visited San Martin Park, a relatively large park within the city. 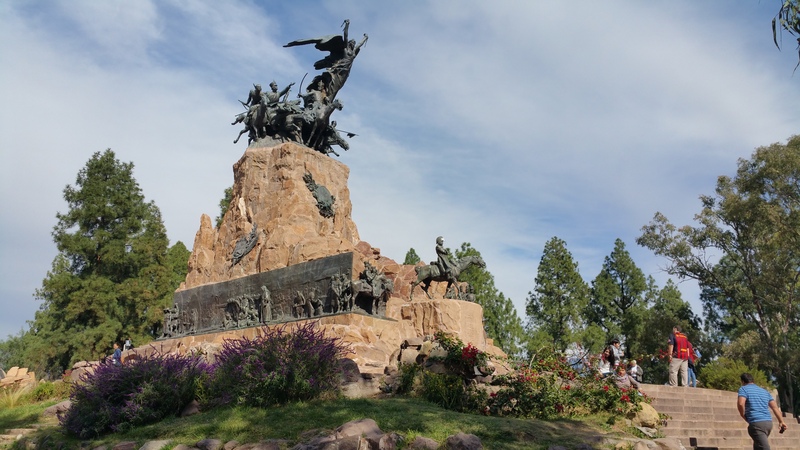 There isn’t much to do in the city of Mendoza itself, so a stroll up Cerro de la Gloria is worth visiting if time permits. #1 was out of the question, as it was the most expensive way to see the vineyards (at least $160). We considered #2 but read the entire day could take 10 hours because the bus visits every single drop on and drop off location. Although incredibly cheap, #3 was only an option for Maipu, not for Lujan de Cuyo or Uco Valley. #4 wasn’t too expensive once split between two people, and allowed for the most flexibility and freedom. We quickly decided we would do #4 for one day of touring Uco Valley and Lujan de Cuyo, and #3 the following day for Maipu. 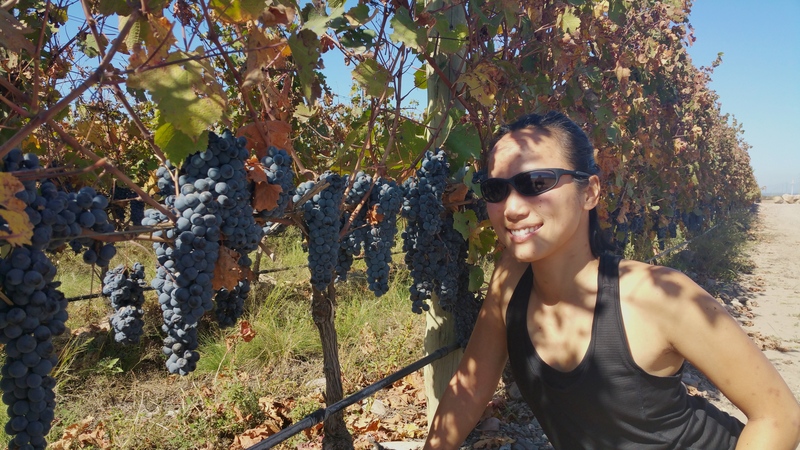 These options worked out perfectly for us and we had no regrets driving through the gorgeous vineyards at our own pace one day, and biking along the roads in the perfect autumn temperatures the next. All the rental car companies are conveniently clustered together in Mendoza and after inquiring for prices of all-day rentals from 6 different companies, we found that the cheapest option was Sixt for 650 pesos, or ~$53 USD. 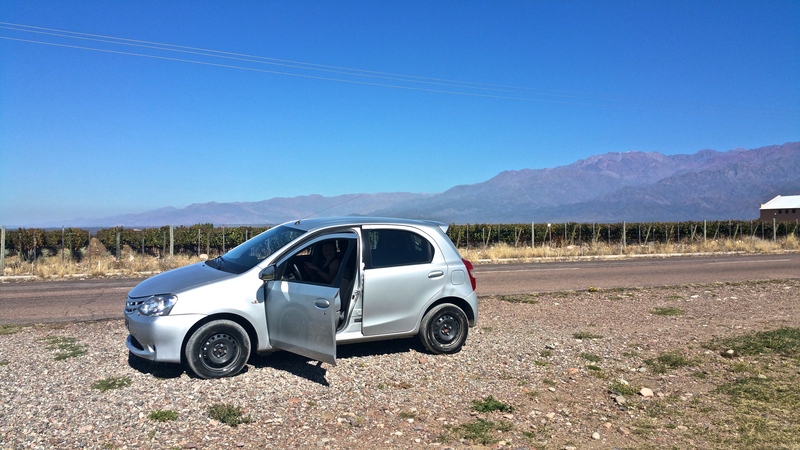 We rented a car and booked a tour/tasting at 11am at The Vines of Mendoza in Uco Valley, and another tasting for 3:30pm at Luigi Bosca in Lujan de Cuyo. The following morning after picking up our car we drove about 1.5 hours south to Uco Valley. Getting out of Mendoza and Maipu took some time and it wasn’t until we actually passed Lujan de Cuyo until the scenery changed from a cluster of a city to wine country. 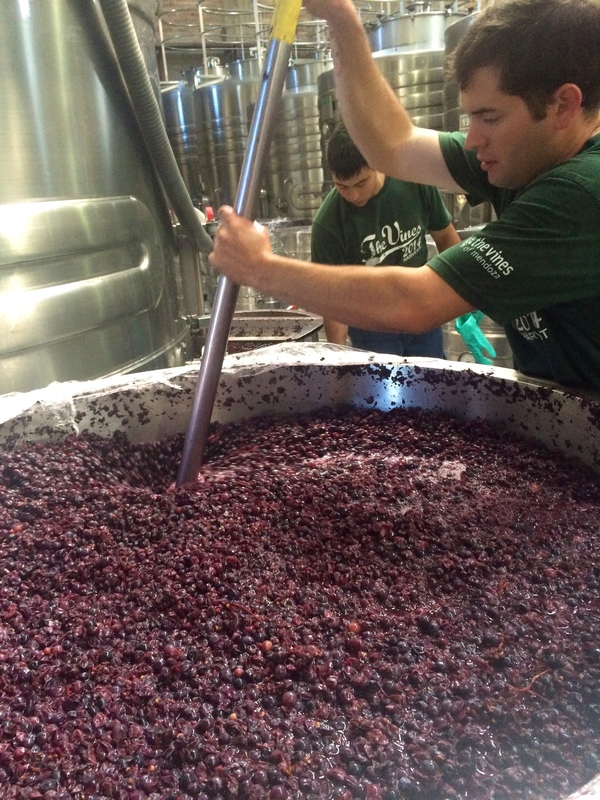 First, The Vines of Mendoza. What an incredible place. We drove through acres and acres of vineyards before finally arriving at the wine production facility and outdoor tasting area. 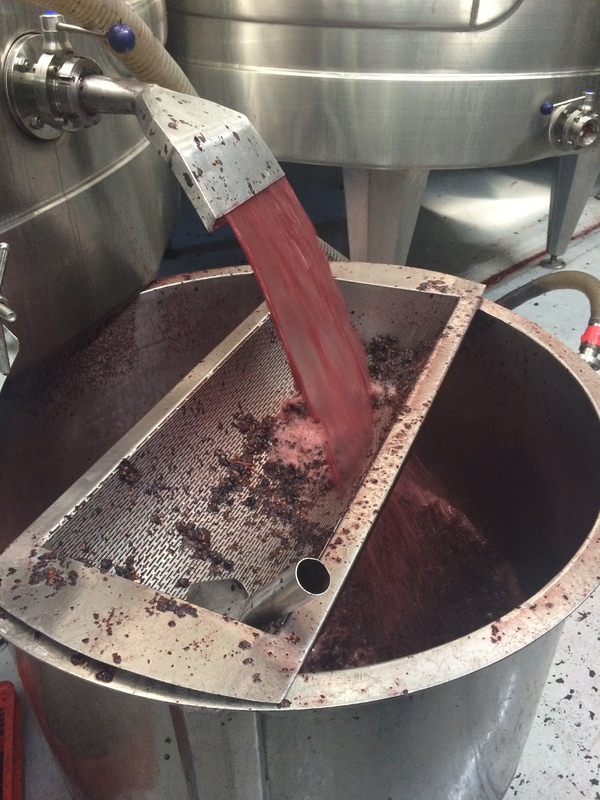 Autumn (March-April) is a busy time for wine country, as it is the harvest season. 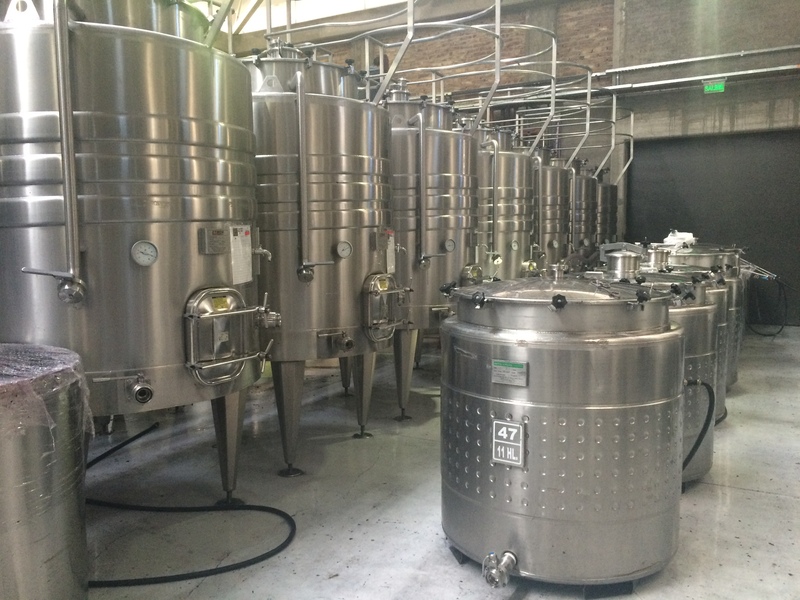 We watched the wine makers, grape pickers, and machinery in awe. 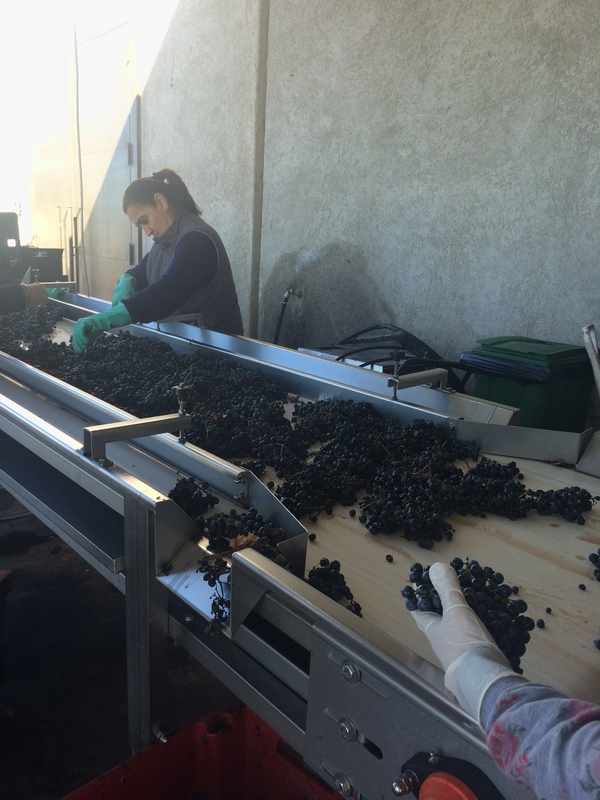 We even sampled the grapes on the conveyer belt! 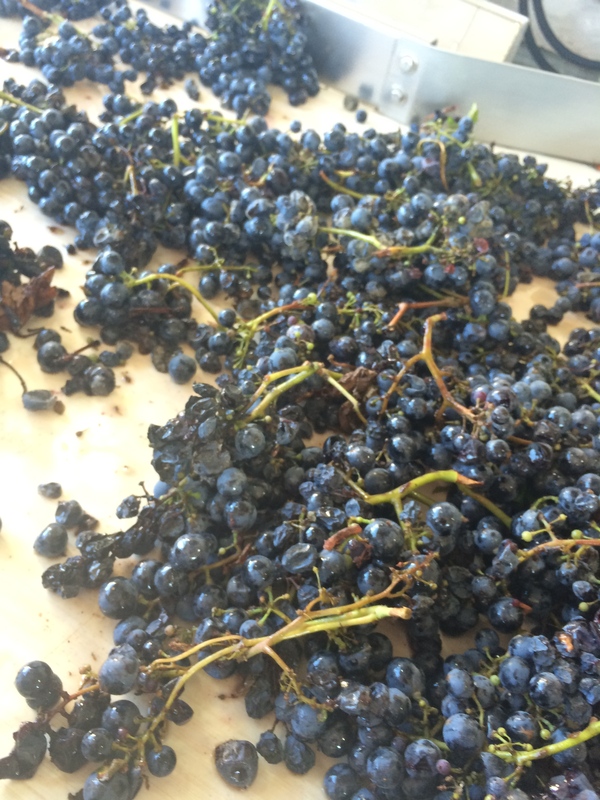 They were amazingly sweet—much sweeter than grapes we are used to from grocery stores back home. And finally, the tasting. 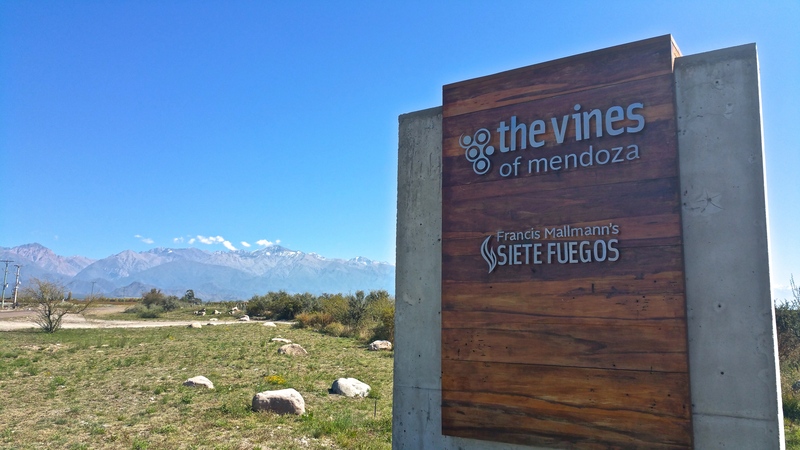 Of both days of tasting and touring, our first tasting at The Vines of Mendoza was by far our favorite. 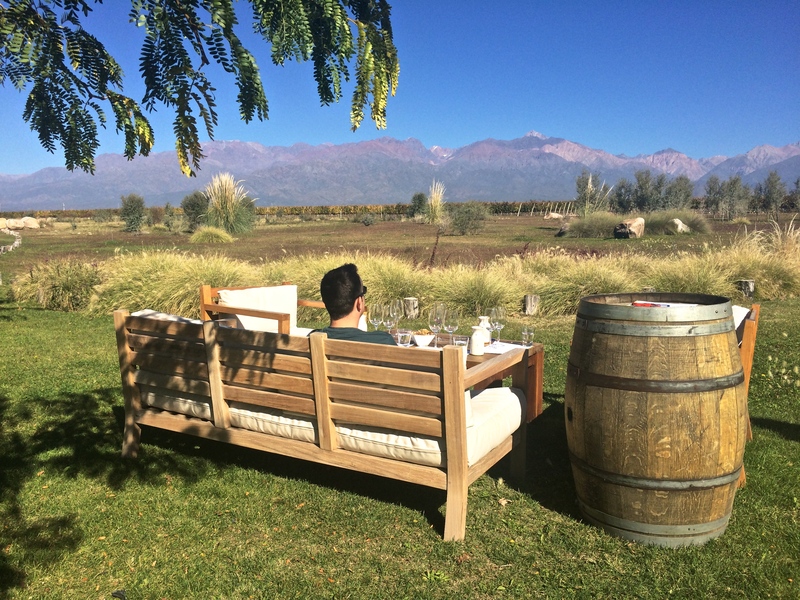 It wasn’t just a tasting room in the middle of a city; it was open outdoor seating in the vineyard and production facility itself, overlooking the vast country and Andes Mountains in the distance. We could have sat there all day. 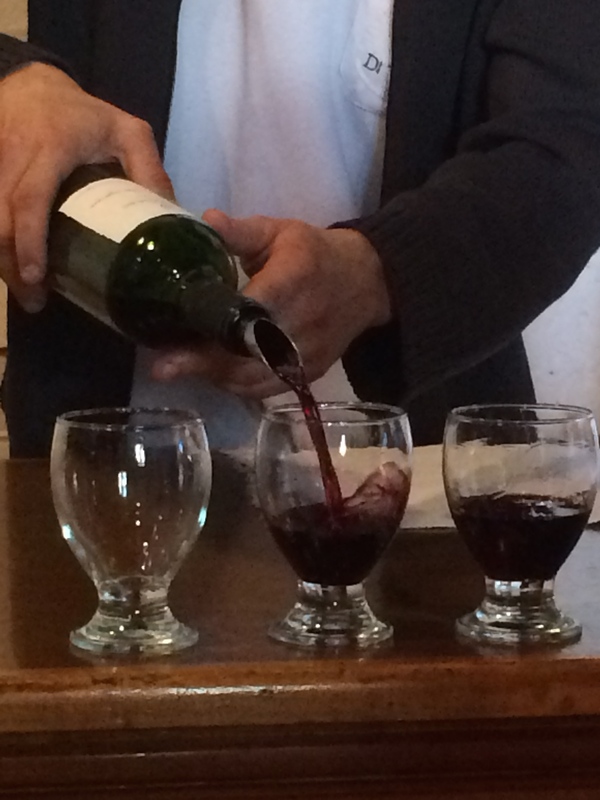 Each tasting was 110 pesos pp (~$9 USD) and included a 75 peso credit toward a bottle of wine. Because our two tastings amounted to a 150 peso credit, we walked away with a fine bottle of Malbec, originally with the price tag of 140 pesos, but “free” with our credit. 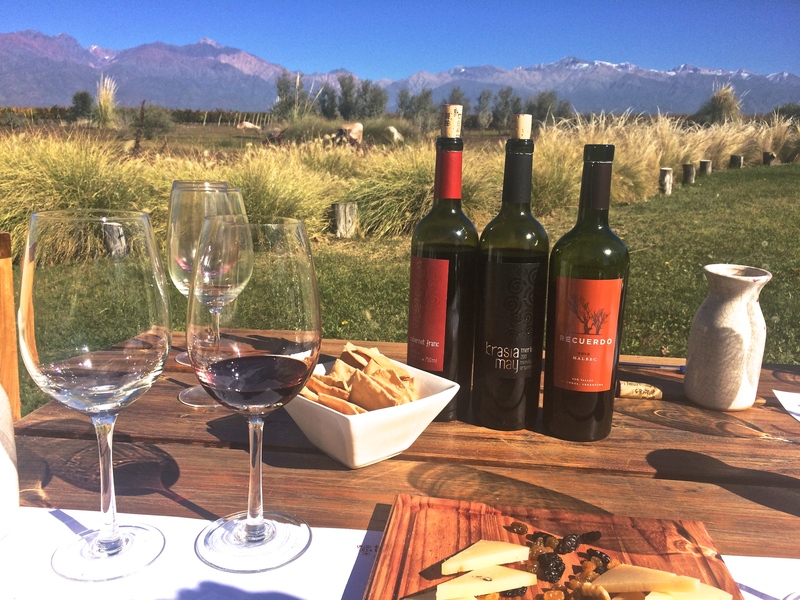 The price for 2 tastings in the beautiful countryside, a tour, and a bottle of Malbec: 220 pesos, or ~$18 USD. Amazing! For lunch, we ate at La Posada del Jamon, a highly recommended pork-themed restaurant. Delicious! Time flew and we had to rush to make our 3:30 reservation at Luigi Bosca in Lujan de Cuyo. 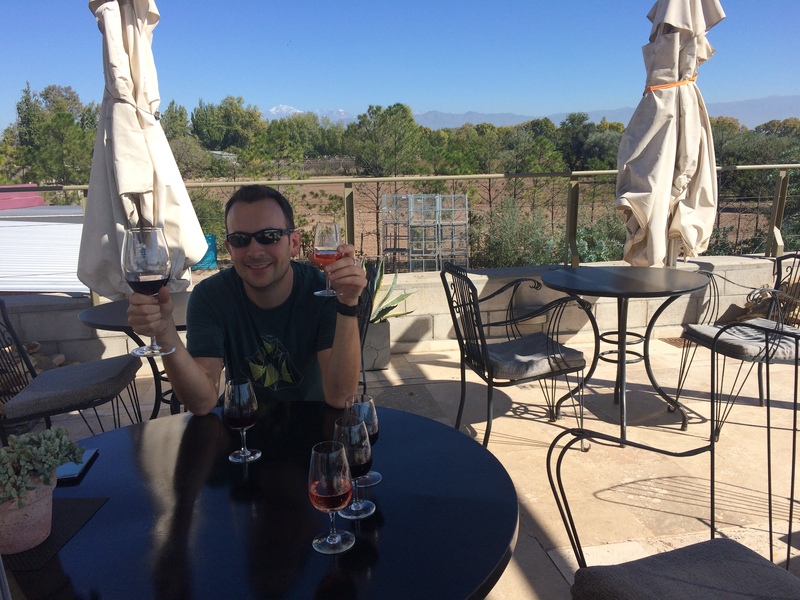 Compared to Uco Valley, it was incredibly underwhelming since it was simply a tasting room in the center of the city. No scenery, no vineyard, nothing. I can’t recommend it, unless you want to get really drunk (I did, but Chris didn’t). At Luigi Bosca, the price per tasting was 110 pesos. 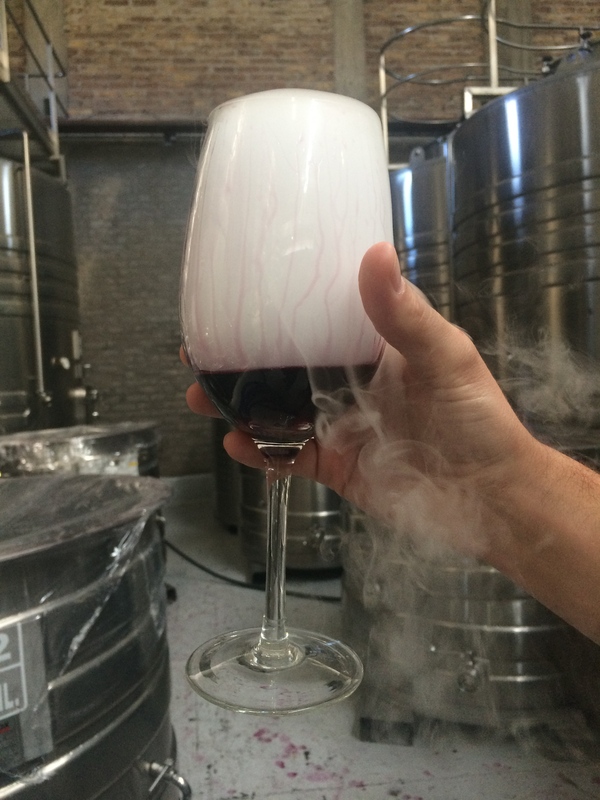 However, the entire 110 pesos can go toward any wine purchase, and the tasting would be waved. 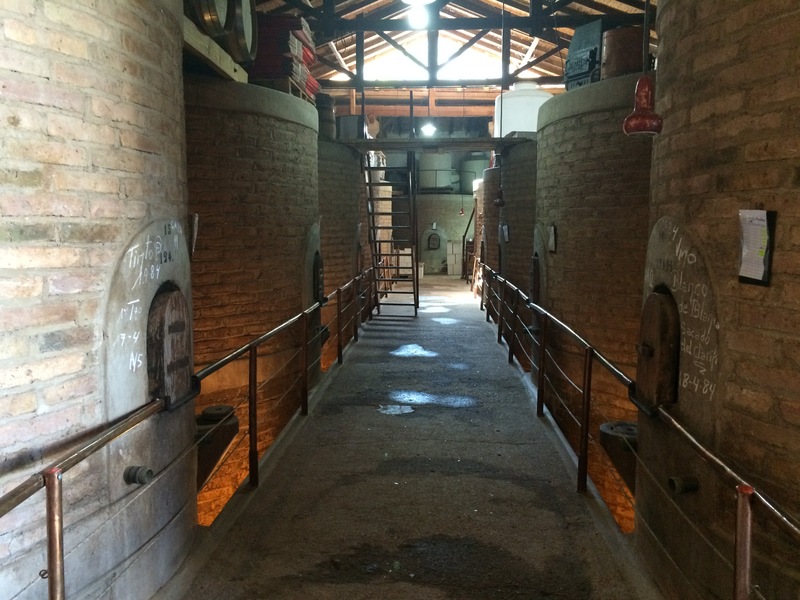 We ended up purchasing 2 bottles of Malbec at 156 pesos each (~$12.75) and had both our tastings waved. Win! The next morning we took the public bus (#10, Routes 171, 172, or 173) from Catamarca and La Rioja. (You need to buy a Redcard at a kiosko beforehand and top up the card. At the time the price pp from Mendoza to Maipu was 5.1 pesos pp.) Maipu is only about a 30-minute bus ride from Mendoza, and is definitely not as beautiful as Uco Valley. Knowing we were tourists, the bus driver dropped us off down the street from the rental bike companies. Although not as breathtaking as Uco Valley, Maipu still has its perks. 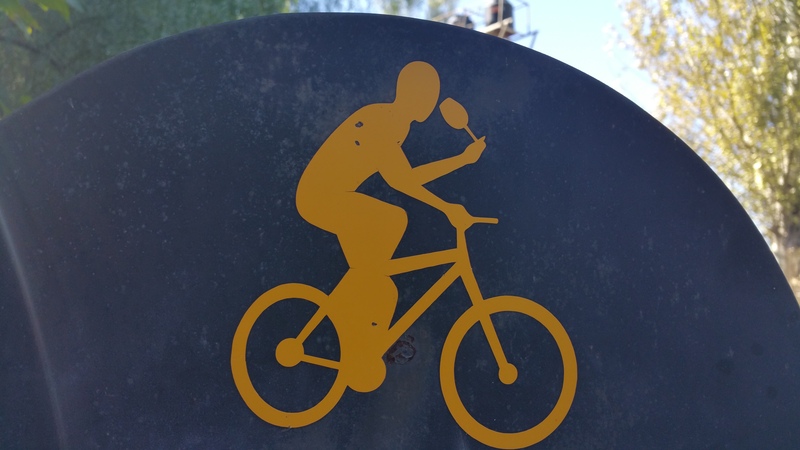 There is a clear bike route, and bike companies provide maps of wineries with discounts for tastings. 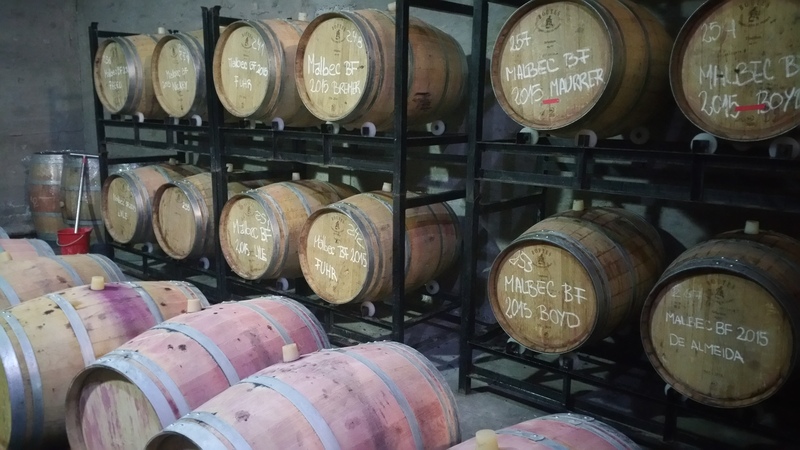 None of the tastings in Maipu require reservations, which allow people to enjoy Maipu at a leisurely pace without rushing to be on time for anything. The summer season makes it less pleasant with temperatures exceeding 100ºF, but because it was autumn, the weather could not have been more perfect. I should also mention the downside along with the perks: it is easy to assume the bike ride would be along quiet, countryside roads. Nope. Traffic is quite heavy, often with large trucks and buses zooming by. Fortunately the distances between vineyards aren’t long, and some areas are quite scenic. 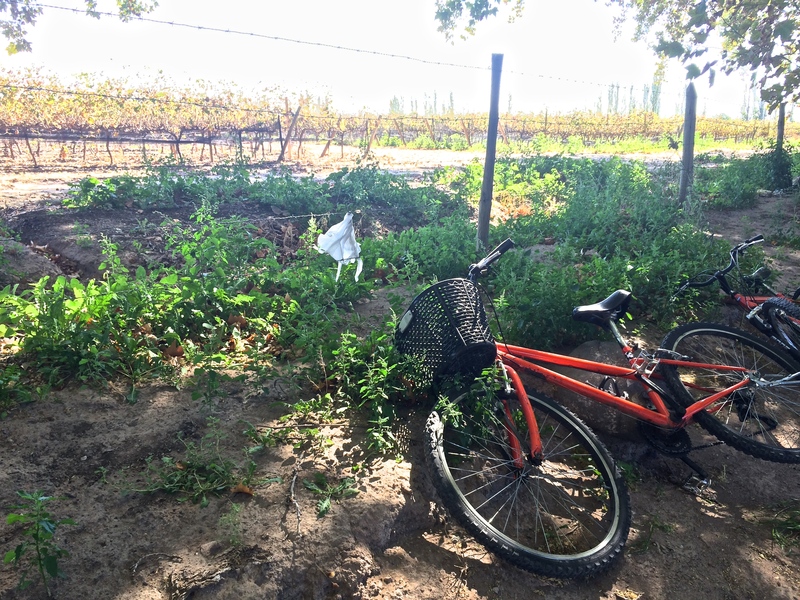 With that expectation in mind, we thoroughly enjoyed our budget-friendly bus and bike ride in Maipu and wished we had an extra day to tour more wineries in the area. After renting the shittiest bikes ever from Orange Bikes at 70 pesos pp (~$5.75 USD), we set off for my first destination of choice: Tempus Alba. 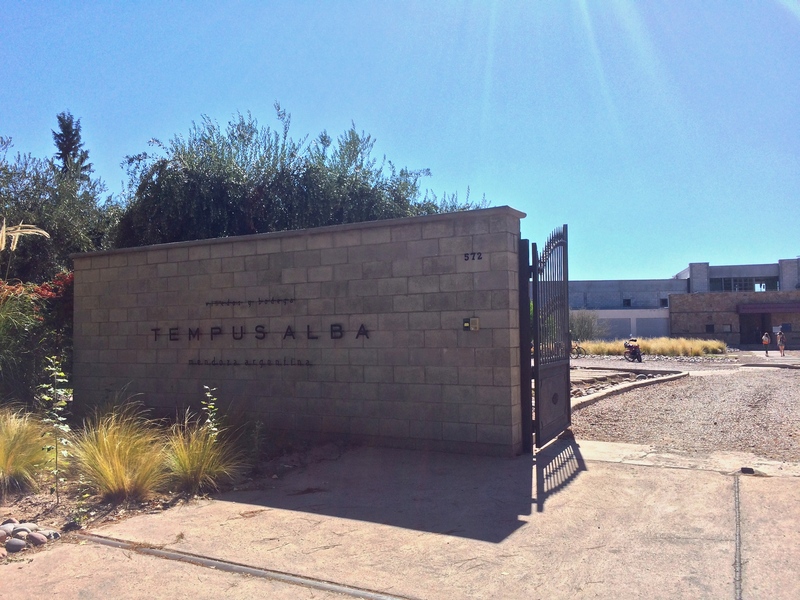 Tempus Alba is not only a vineyard and wine production facility, but also a restaurant with high reviews. I figured it would be a good idea to put some fine food in ours bellies before getting drunk. We arrived a bit early (11:45am) and their restaurant did not open until 12:30pm (damn late times, Argentina!!! ), but it suited us well since we simply ordered a tasting and enjoyed the rooftop view all to ourselves. As we waited and soaked in the scenery, we reminisced on our time in Argentina and discussed how awesome our lives were. It was a Thursday afternoon and there we were, sipping on wine, spending the whole day enjoying wine country. Our incredible lunch at Tempus Alba included a tasting of around 50 pesos (~$4 USD), a flavorful burger (with a patty wrapped in prosciutto! 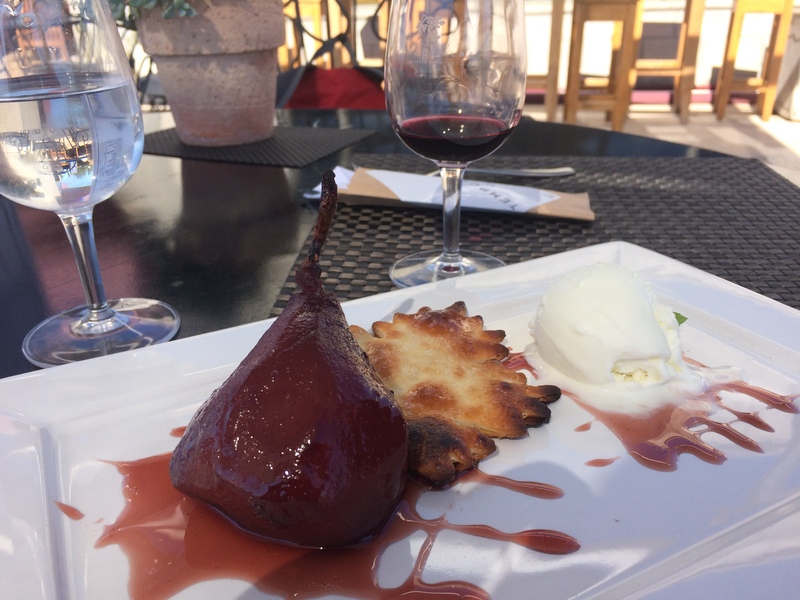 ), and a dessert of Malbec-soaked pear with vanilla ice cream. After squandering away a relaxing 2 hours at Tempus Alba, we continued our journey south down the road toward our next destination, Familia de Demosso. We enjoyed a tasting at this small, family run vineyard, wine production facility, and tasting room for only 45 pesos each (~$3.70). 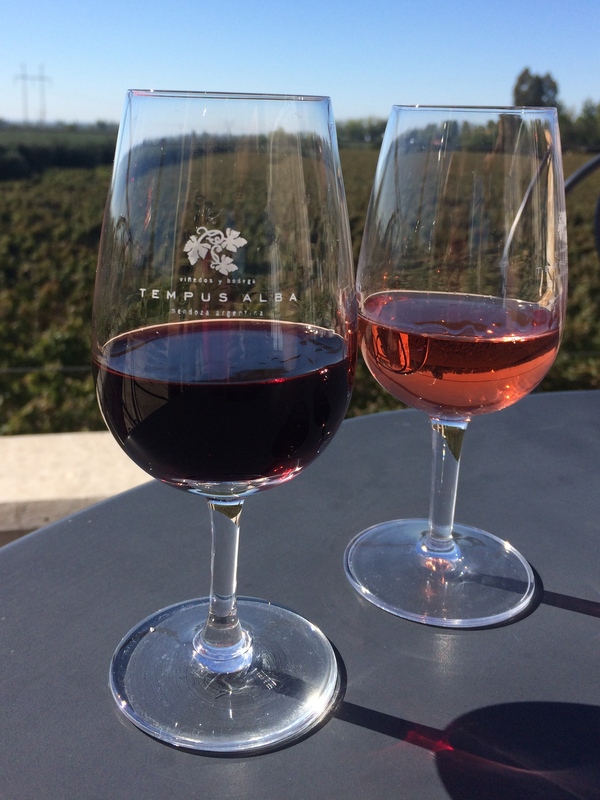 Then we pedaled back up north to Bodega La Rural, a winery and wine museum. Their tasting required a minimum of 2 people. Because I didn’t want to taste and they didn’t allow sharing, we did not do a tasting here. 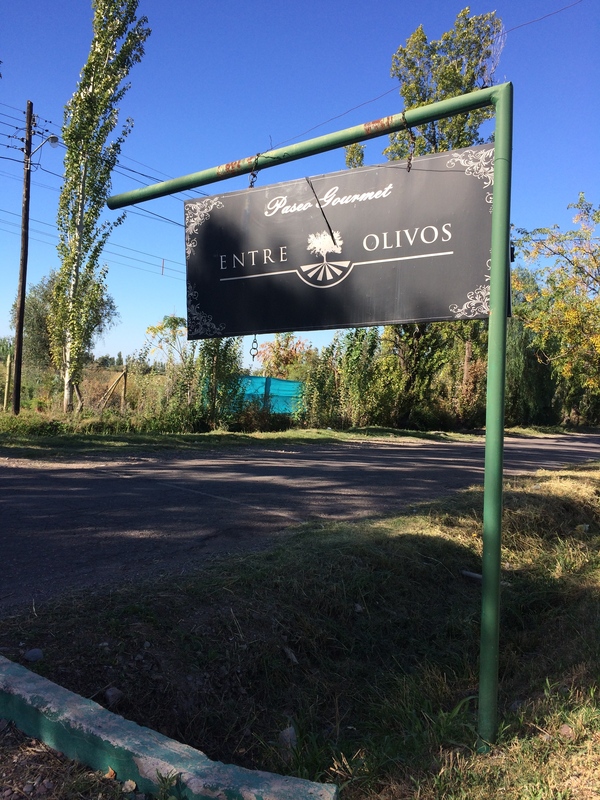 Having done multiple tastings for two consecutive days, we were happy to end our wine tour with a tasting at Entre Olivos. 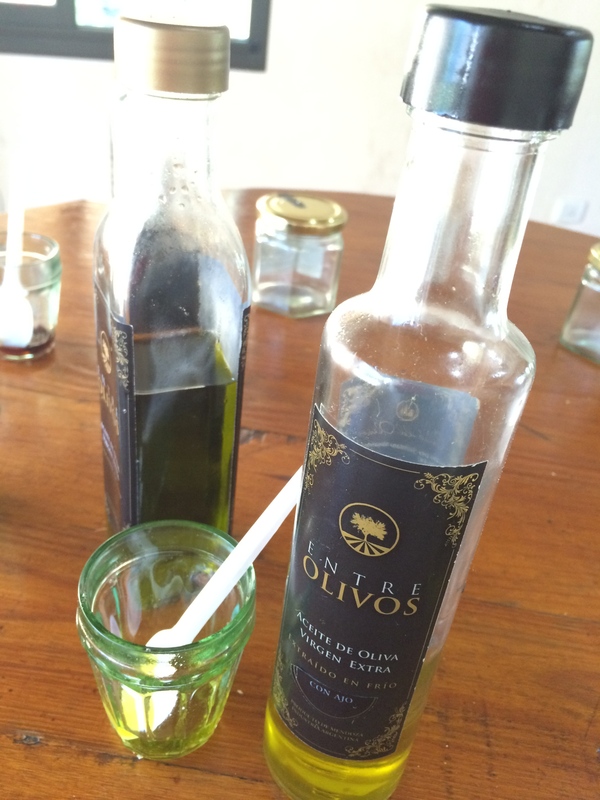 For 45 pesos pp, we tasted a variety of olive oils, olive tapenade, mustard, chili, jams and marmalades, chocolates, and 2 shots of homemade liquor. The most unique flavor was the chocolate with pepper liquor—imagine the flavors of milk chocolate, spicy black pepper, and warm liquor blending in your mouth at the same time! We wish we could have spent another day in wine country, but we had to leave to catch our flight from Santiago to Easter Island that I booked 2 months ago. An extra day to properly explore Uco Valley and enjoy its natural beauty at a more relaxed pace would have been preferable. 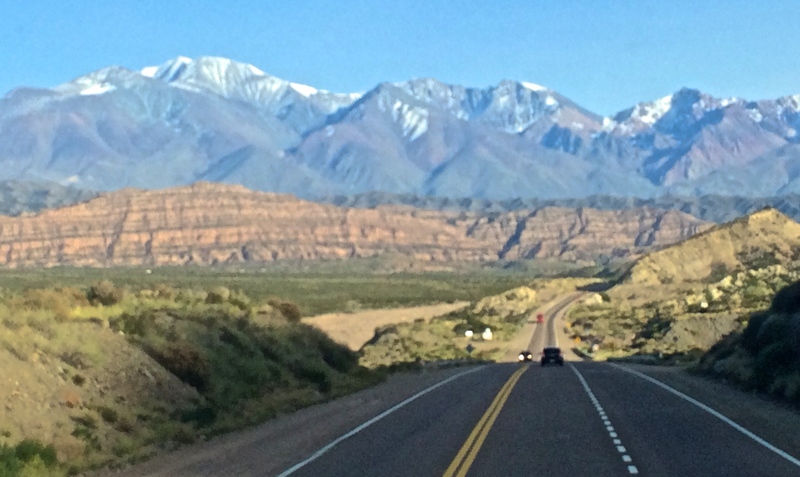 At least we were able to enjoy the beauty of the Andes as we crossed the land border between Mendoza, Argentina and Santiago, Chile. Having read that the ride was spectacular, we made sure to book our bus tickets during the day to be able to see the views and ideally, score the best seats on the bus. Fortunately, we booked our bus tickets 4 days in advance and we were able to select our seats of choice: top deck (all long-haul buses have double-decks), front row, with giant windows. 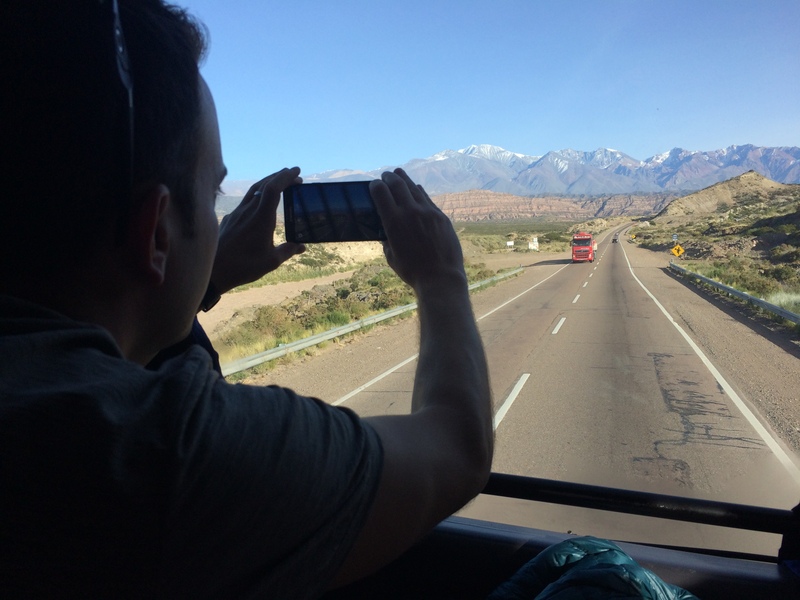 With spectacular weather during our entire stay in Mendoza, we sadly bid farewell to Argentina and thoroughly relished our bus ride into Santiago. 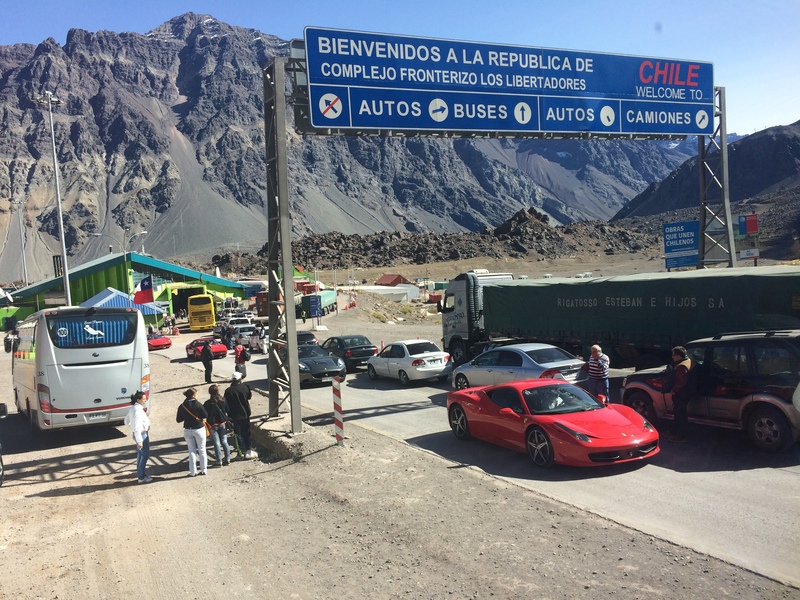 For some reason there were a lot of Ferraris from Chile coming into Argentina. 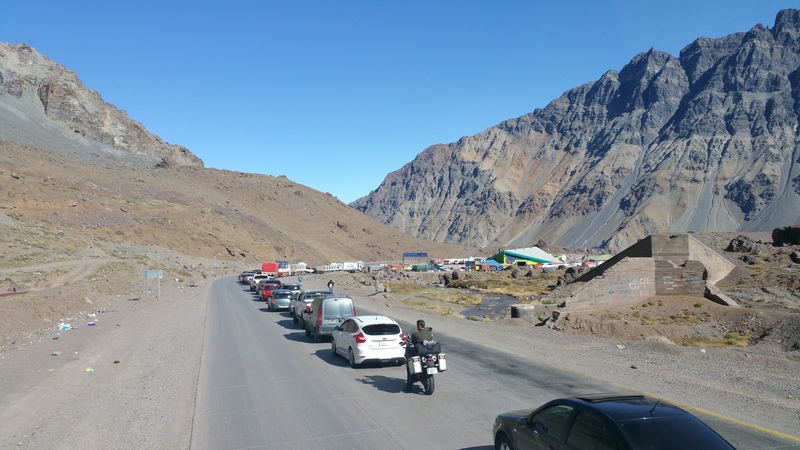 The drive to the border from Mendoza took 3 hours, and the exit and entry only took 1.5 hours. Not bad! 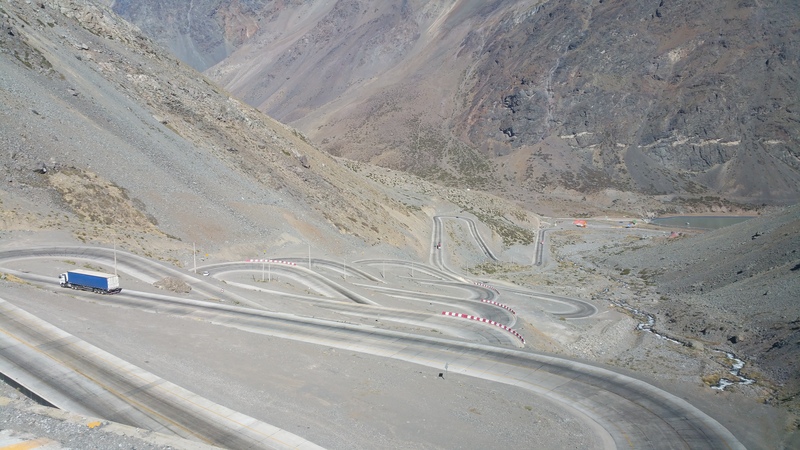 Shortly after crossing the border, we began the incredible descent down the Andes. There were a total of 29 “curves,” or crazy switchbacks down the mountain. Imagine all the buses, trucks, and cars weaving down this road. We pulled into the Santiago bus terminal exactly at 4pm for a total of a 7-hour journey. From Santiago, we had a day and a half to prepare for our next destination: Easter Island, or Rapa Nui, or Isla de Pascua in Spanish. One country and one month down, 4 more countries and 4 more months to go! This entry was posted in Argentina and tagged maipu, uco valley. Bookmark the permalink.